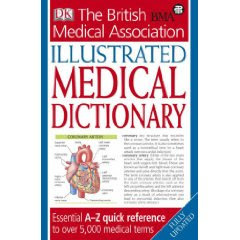 Martyn Page "BMA Illustrated Medical Dictionary"
This dictionary gives comprehensive coverage of anatomical terms, disorders, tests, treatments and drugs and contains extensive cross referencing for fast access to related topics. It is not easy for a Bangladeshi trained medical doctor to find a residency position in America. In addition to the fact that you need excellent scores on the USMLE, one must also have a very well written statement.